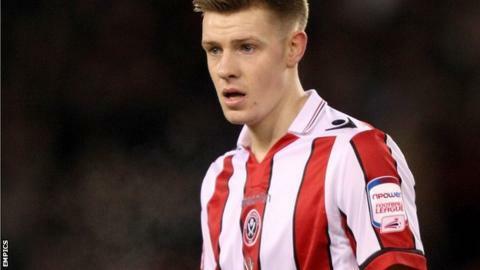 FC Halifax have signed Sheffield United striker Joe Ironside on loan until 5 January. The 20-year-old, who signed a new deal in March this year, has made six appearances for the Blades this season. He could make his debut for the Shaymen in Tuesday's Conference Premier match with bottom side Hyde. Boss Neil Aspin told the club website: "Hopefully he will get a few goals which will then benefit his career when he goes back to Sheffield United."